Job Title: Production Coordinator; Administrator Location: Bradford Salary: £17,160 plus overtime and benefits The Opportunity Bluefire Consulting are recruiting for a Production Coordinator; Administrator to oversee the schedules, stock inventory and computerised database for a manufacturing company based in Bradford. The company can offer you a lot of training opportunities and the chance to work in friendly, close knit team. Great opportunity to develop your administration and IT skills within a successful manufacturing company. 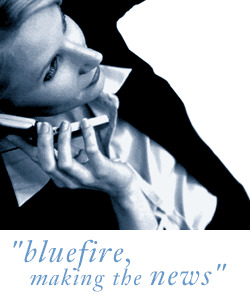 Bluefire Consulting are recruiting for a Production Coordinator; Administrator to oversee the schedules, stock inventory and computerised database for a manufacturing company based in Bradford. The company can offer you a lot of training opportunities and the chance to work in friendly, close knit team. To succeed in the Production Coordinator; Administrator role you will have strong administration skills, particularly in Microsoft Word and Excel, and be IT literate. Experience using an ERP or production management system such as SAP or SAGE would be beneficial. If you have a background working with a production, manufacturing or warehouse office we would like to hear from you. The Production Coordinator; Administrator role will involve a lot of training on the company's in-house database so you will need to be a quick learner who is eager to develop your skills. As you will be responsible for liaising with all internal departments you will need to be a confident, outgoing individual who enjoys working within a team.